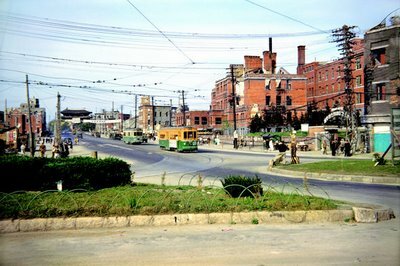 ∙ translating Kim Ki-duk's "Haeanseon"
Hankyoreh has gotten hold of color photographs taken during the Korean War by a Korean-American who served as a medical officer in the US Marines. Once again it's startling to notice how one sees color photos differently from black and white ones. It is as if history had always been recorded in black and white, and once some events are shown in color they appear much more relevant. 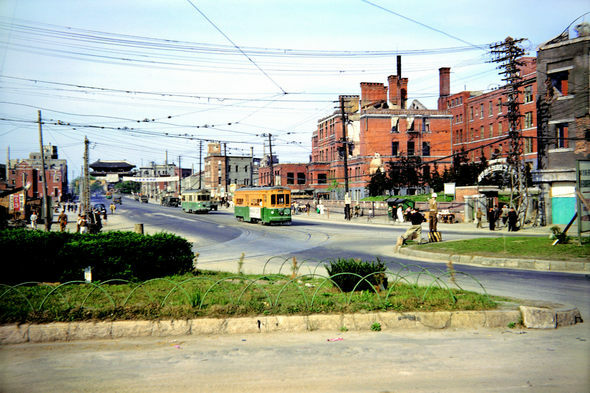 Trams in front of Seoul Station in 1952, Namdaemum gate visible behind. 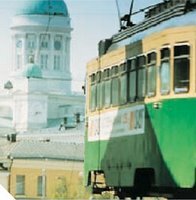 Interesting to see that the trams were painted green and yellow, which is the traditional coloring of trams in Helsinki. 1970s. Same color probably same model.